At Build it was a new feature announced in Azure call “Azure Functions” which basic allows you to run small snippets of code out in the cloud. 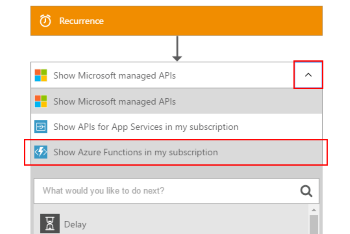 You can learn more about it here: https://azure.microsoft.com/en-us/services/functions/. This article will guide you in how can you start using Azure Functions inside your Logic Apps. And then click “Create + Get started” button. 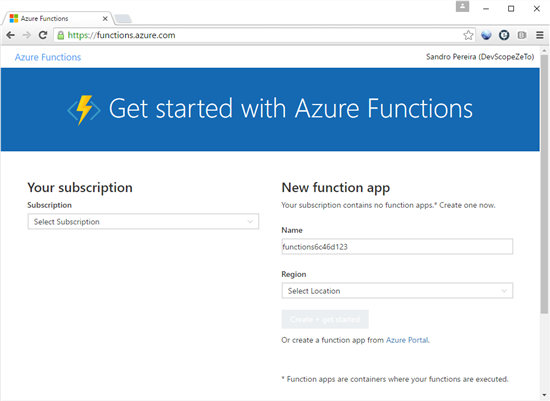 This will create your Function App and will redirect you to your azure portal subscription. 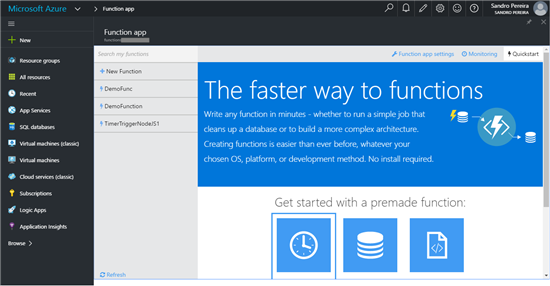 Let’s leave this windows open for now, because we will create our function through the Logic App design, and get to your Azure Portal subscription. 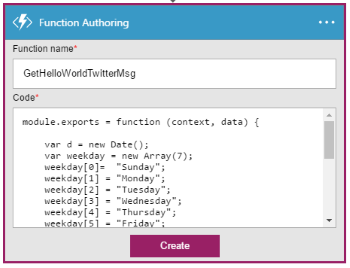 For that we will call an Azure Function to get the day of the week and then post on your twitter this twitter post. On the Azure Portal click on “Logic Apps” option and click “Add” to create a new Logic App. 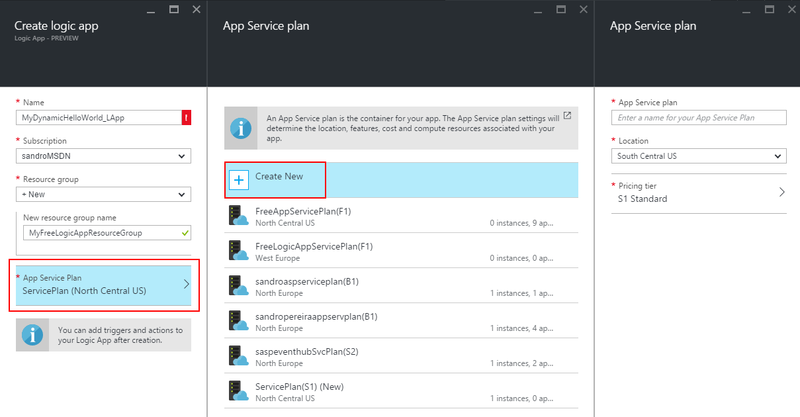 Free App Service Plan: represents a set of features and capacity that you can share across multiple apps in Azure App Service, including Web Apps, Mobile Apps, Logic Apps or API Apps. 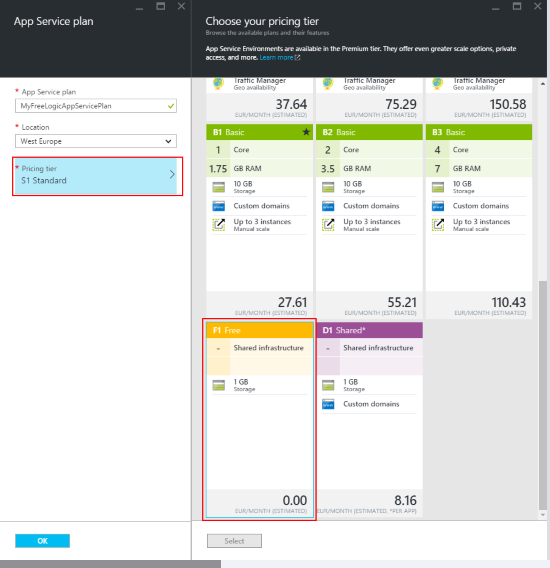 These plans support different pricing tiers (Free, Shared, Basic, Standard and Premium) where each tier has its own capabilities and capacity. and Resource group: are logical containers that allow you to group individual resources such as virtual machines, storage accounts, websites and databases so they can be managed together. Finally, on the “Create Logic app” panel click “Create” for the deployment process to start. 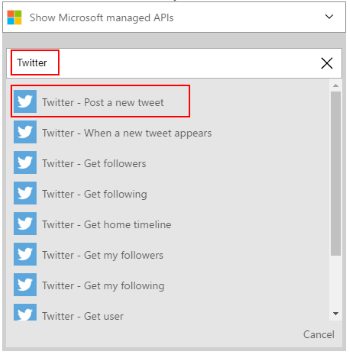 We have to wait a few seconds for the deployment process to finish, once finished we will be notified in the notification area. 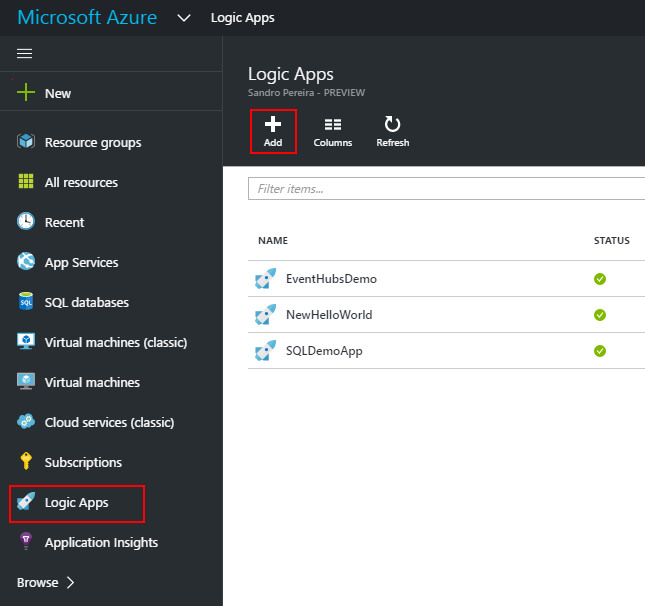 If we refresh the Logic Apps page, we will now see and have access to the new Logic App we were building. 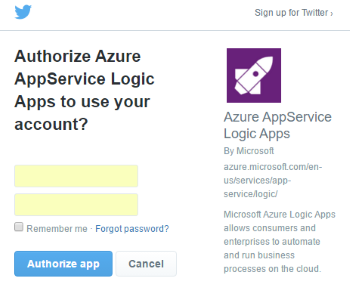 Note: if we click on “…” you can pin this Logic App to your dashboard. 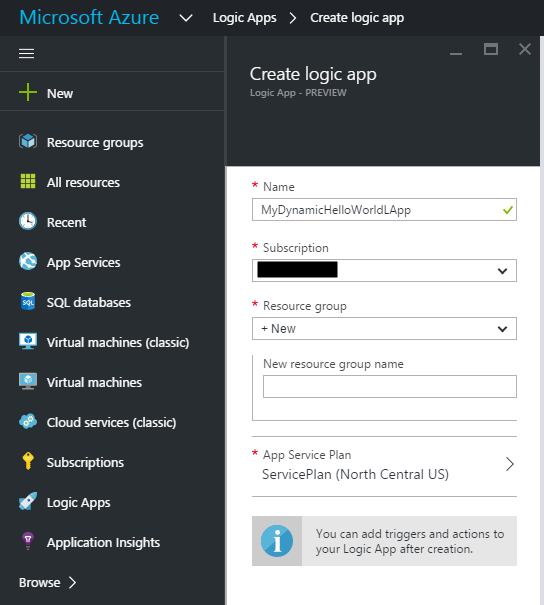 To edit and create the logic flow of you Logic App, you just need to click on the Logic App name to open the Logic Apps Designer. 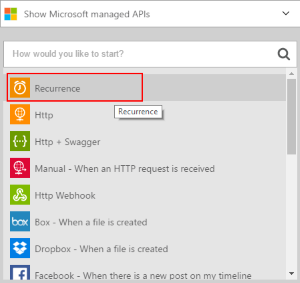 Note: Recurrence triggers do not have anything in the inputs object the common properties for all triggers are sufficient to define a basic recurring trigger. 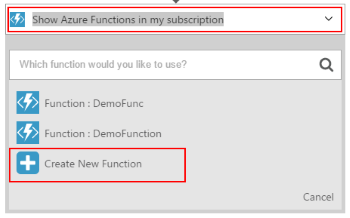 From the search box select “Show Azure Functions in my subscription” and then “Create New Function”. 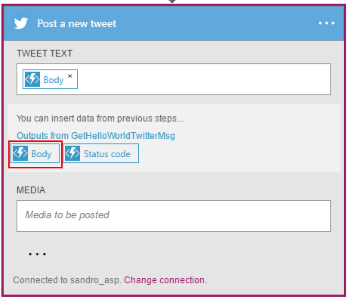 // Response of the function to be used later. Finally, you can select “Save”, on the Logic Apps Designer menu, to make your logic app live. 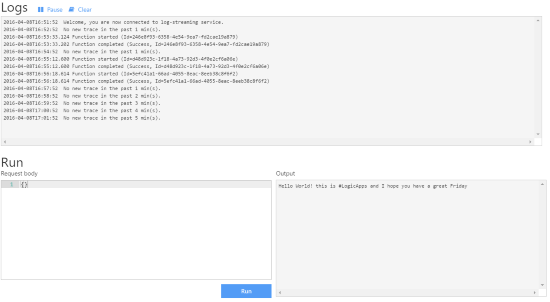 Here we are also able to manage, “debug” and test all the existing Azure Functions to check if everything is running according. And to create new ones. 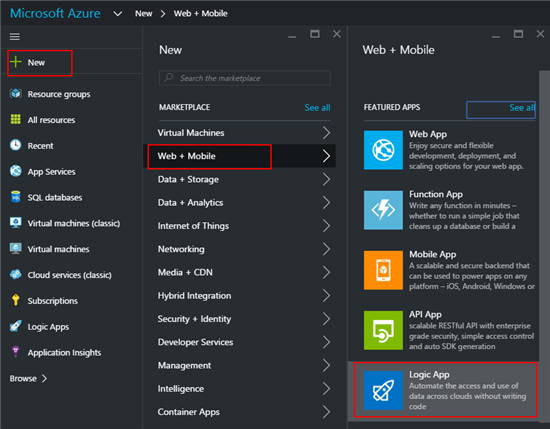 This article was originally published at Logic Apps Hello World: Using Azure Functions inside Logic Apps. But please feel free to improve this article by adding new missing or important content, fixing spelling and so on. Another important place to find a huge amount of Logic Apps related articles is the TechNet Wiki itself. 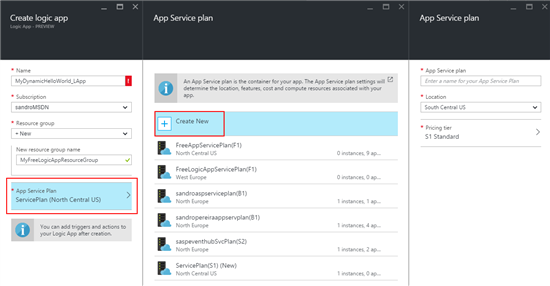 The best entry point is Microsoft Azure App Service Resources on the TechNet Wiki.